Join two of Sydney's elite trainers Under The Bar for a weekly dose of 'in the trenches' know-how on training for body composition. 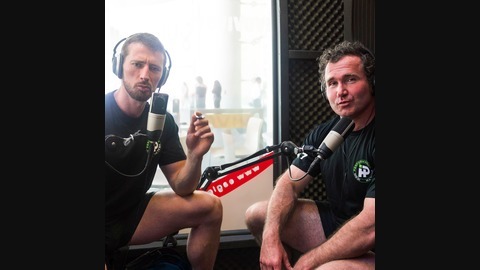 Rawdon Dubois and Tom Hewett will take you through the foundations necessary to achieve optimal fitness results and a wider knowledge of health, strength and performance. Tune in each week to hear Dubois and Hewett build on these foundations as they share and discuss some of the key systems and strategies they use to achieve the impressive results their clients enjoy on a regular basis. 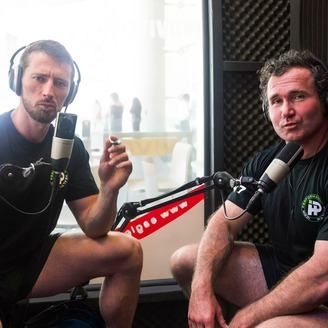 Each podcast will focus on a different theme, taking a look at a particular training method, nutritional system, go-to supplement and mindset strategies, as well as featuring special guest interviews. Take no prisoners – fuel your training fire and power your performance by catching up with us Under The Bar.